Since my divorce in 2010 I have gone through many ups and downs financially. At times the experiences have been extreme, from having to move out of a place because I hadn’t paid the rent, to not having car and not being able to take care of some very basic living requirements. It’s my choice to be self-employed and my income has been very irregular and I fall into fear at times, wondering how I am going to pay the bills etc. Recently I fell into a period of no income and as is my habit every day, I drew an oracle card from one of Doreen’s Virtue’s angel card divination decks. 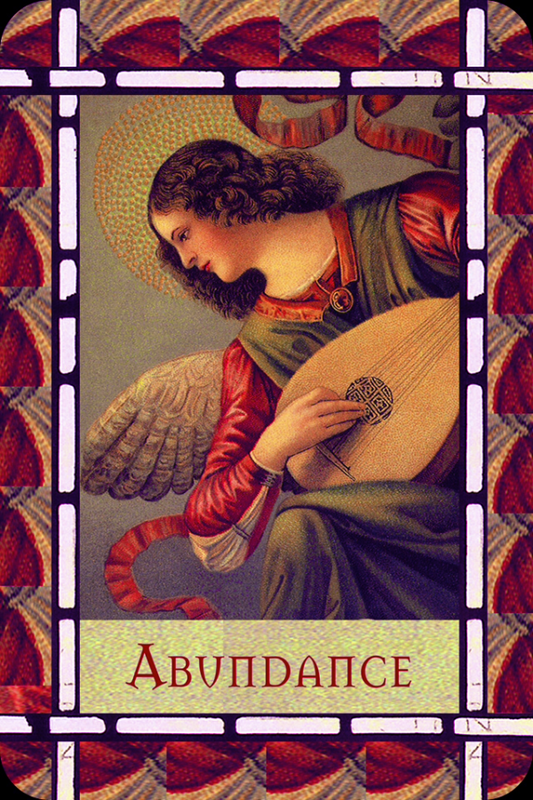 The deck I used was “Healing with the Angels” and the card that I drew randomly was “Abundance”. Part of the message (from reading the guide book) was that abundance was coming, however I needed to keep the faith and trust in God and that all abundance comes from God. It also gave an affirmation “I accept my good graciously into my life. All my needs are met abundantly now”. I’ve been using this affirmation daily. I write it above my to do list every day as a reminder. I have to say that my income has improved and all my needs are being met. The strangest example was when attended a festival and someone walked off with my size 10 Keen hiking shoes and left their newer sized 9 1/2 shoes. I tried to find out who had taken my shoes to no avail so I was stuck with the newer 9 1/2 shoes, that actually fit better! Do you believe in affirmations? If you have a favorite, please share it in the comments.